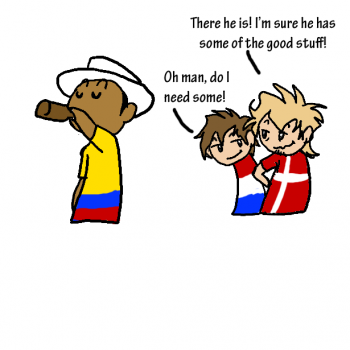 Is Finland lovingly petting the hilt of his knife? Or is he carefully lining it up to thrust it into Sweden's behind with both hands? @Ahti_S sounds like it would be hard to get a good cut if you're also petting your knife at the same time you thrust it into someone's back. Sweden : He's pointing a knife at me, again. Finland: "Isä meidän..." *STABBING SOUND* "Aamen!" @Ireadcomicsinclass are you new? If so, welcome! 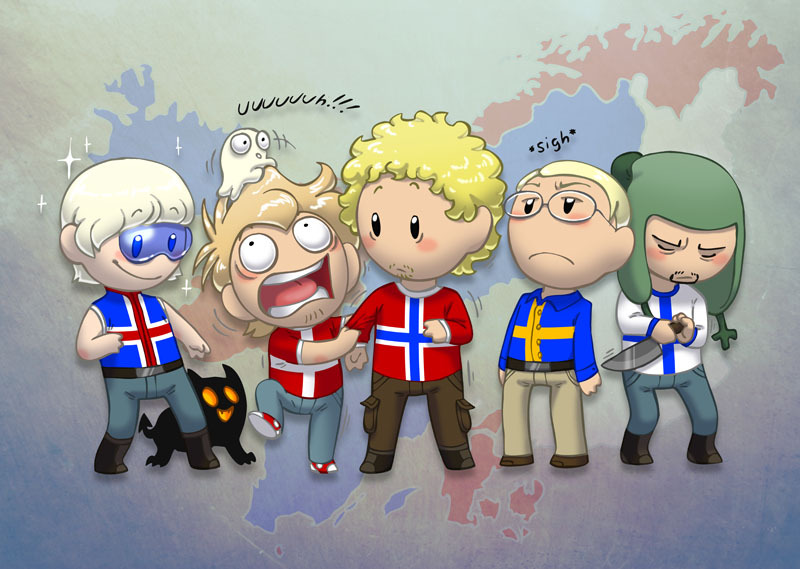 @TheyCallMeMo No-- the knife is moving and the way Finland holds it... More like a ritual. Or he just got a new knife and is feeling it out. I was looking at Finland, and was like, "Man he looks so badass and epic here!" Then after some thought... I was like, "Has he ever not?"